Back cover blurb: Abbie is missing. Her mother knows who’s to blame. But nobody is listening. When the case falls to DCI Bob Valentine, he has no choice but to listen. Haunted by the girl’s cold gaze and her mother’s hurt, Valentine finds himself at the centre of the most harrowing investigation of his police career. As he uncovers a ring of ritualistic abuse that circles up to the highest echelons of a degraded, Satanic society, the detective wonders how the world can contain such evil. And then the bodies start to mount up. And the demons’ defenders appear. Has Valentine any hope of finding the missing, never mind the guilty? DCI Bob Valentine is no stranger to difficult cases. His last saw him investigating a cold case which led to the discovery of young boy in an ICI barrel. Further investigation led to decades of abuse and deceit being uncovered. 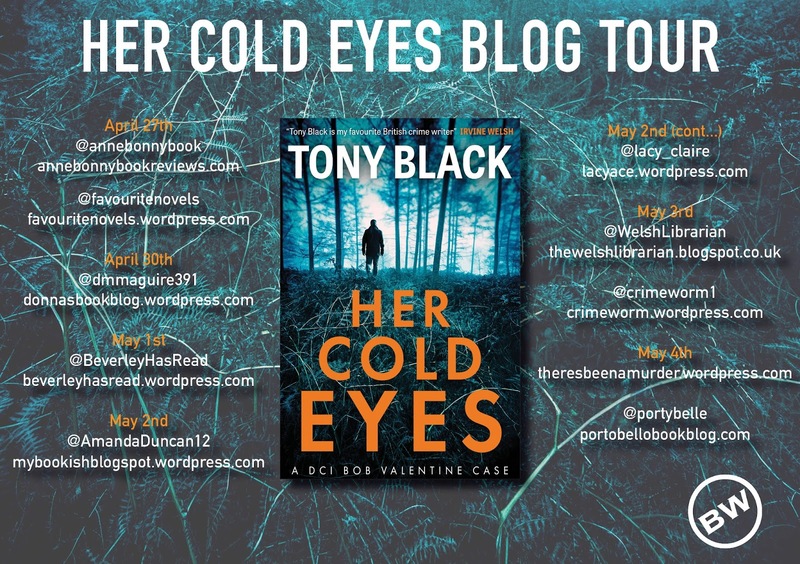 When the body of a young girl is discovered near to the side of the road of a private estate in Ayr, Bob and his team suspect more than a hit and run. Not least because the girl is stark naked aside from her retro white tennis shoes. Abbie’s estranged Mother had reported her missing and suspected her of being abused by an occultist group. Bob and his team must determine if this was the case or if her death was some kind of horrific accident. As the investigation deepens, Bob and his team uncover a paedophilic ring of ritualistic abuse that circles up to the some of the highest powers in the country, and even further afield and he wonders how the world can contain such evil. I can’t say too much more within giving anything away. 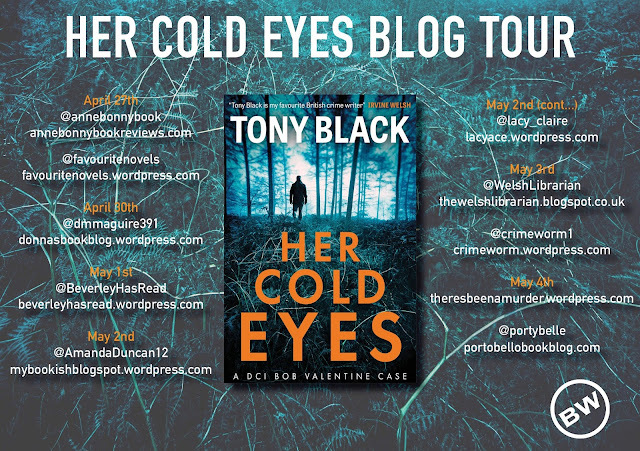 But Her Cold Eyes is another brilliant DCI Valentine novel and I really hope it’s not the last. 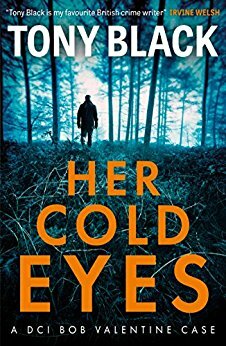 Her Cold Eyes is available now via Amazon online and all good book shops. Thank You to the publishers who invited me to take part in the official log tour in exchange for an honest review.